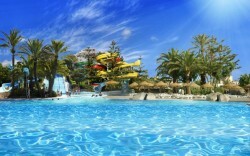 Visit Parque Acuatico Mijas (Aquatic Park) for a fun filled day enjoying all the water attractions at the biggest water amusement park in Costa del Sol. This park is located in Mijas, a small town of the Costa del Sol and it is a recommended exciting experience that you will not forget. Spend an unforgettable fun day at the park where you can enjoy and have a great time with your family and friends. It is the perfect place to spend a different summer day, sun bathe and try the wide selection of water attractions they have. 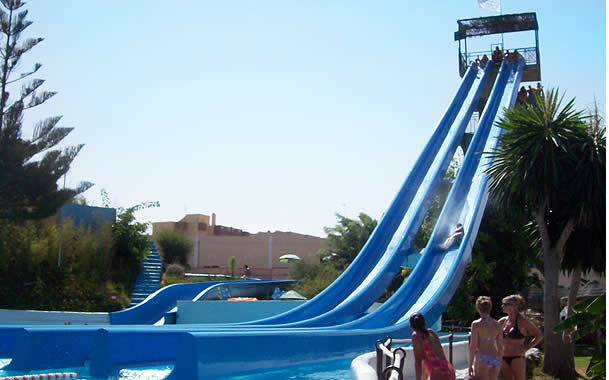 The most popular are: rio bravo, the waves pool, labyrinth of slides, adventure river and the Jacuzzi, to name a few. Not only water attractions are the fun stuff to do at the Parque Acuatico Mijas, there is also a mini-golf and a recreation room where you can play any of the games. During the months of summer, from June to September, there is a daily afternoon show with performances in the stage near the lake. Parque Acuatico Mijas offers all kind of services for the safety and security of the customers such as lockers, cloakrooms, spacious changing rooms with showers, rental loungers, a big area with picnic tables, lifesaving service and a permanent first aid service attended by professional medical and nursing staff. There is a restaurant and coffee shop where you can have a break and choose from a great variety of dishes, sandwiches, drinks and desserts. They also have a special area just for children where they will have a great time with the mascots of the park. And finally you can end the day by visiting the store where you can shop and get souvenirs. It is very easy to access this park and they also have a large space for parking exclusive for the visitors. 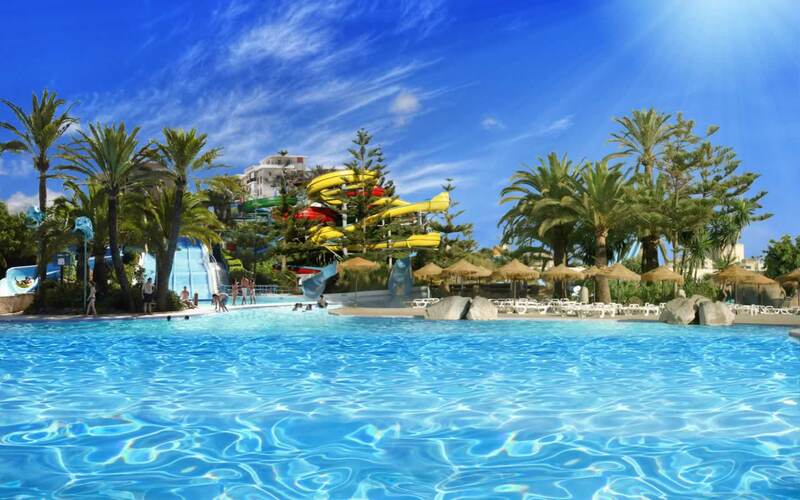 The Parque Acuatico Mijas have special rates for groups and family tickets so you can spend a fun day trip with all your family or celebrate some special occasion.